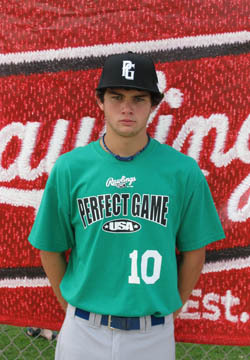 Rudy LaVecchia is a 2010 OF with a 5'10'', 155 lb. frame from Weston, FL who attends Cypress Bay. Lean athletic build, room to fill out some, line-drive contact at the plate, strong and quick hands, patient approach, gets the barrel to the ball, level plane, swung it well during the games, good action to the ball in the outfield, short arm action, feet work.